Robeks Fresh Juices and Smoothies welcomes Robert Campos as Vice President of Franchise Sales. With nine years of experience in the franchise industry, Campos plans to grow the Robeks franchise system nationwide and provide dynamic content to potential franchisees. 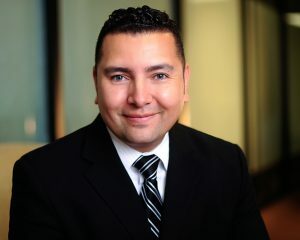 Campos started his career in the franchise industry on the insurance side of the business, providing insurance for franchisees. It was this taste of the industry that made Campos realize he was passionate about the franchise business model. He went on to become the Head of Franchise Development for Farmer Boys, a brand he knew and loved as a kid. In his role as Vice President of Franchise Sales, Campos will serve as the gatekeeper between Robeks and potential franchisees. He plans to implement better communication channels to connect with franchise leads and provide more accessibility to connect with the brand.